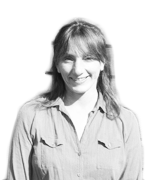 I’m Marianne Preece the Director of The Children’s House (Hampshire) Ltd. Overton Children’s House and Steventon Children’s House are 2 accredited Montessori nursery schools situated between Basingstoke and Andover in North Hampshire. Together they make up the business. I am passionate about Montessori Education and would like to enable as many children in the UK to have access to it and as many adults to understand what it is all about so I hope this blog will help me with this mission. 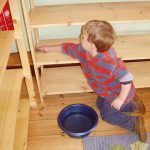 Through this blog I will share information about Montessori Education, answer many of the questions I am asked and expel the myths, often using examples from my nursery schools. I am on a journey to make Overton and Steventon Children’s Houses the best they can possibly be and will share some of this journey with you. This may include fitting Montessori into what the government says we should now do, becoming an eco-school, parenting classes, Montessori training and encouraging parents and the local community to be more involved in all that we do to help the child. I welcome people to become involved through posting comments, sharing and asking questions and follow me from making my first tentative steps into the blogging world to hopefully a proficient blogger. If you have a question about Montessori Education please do ask. Why is Montessori accreditation so important? We raised £488 for Sport Relief!!!! !